We have looked at sourcing a ready made table, but the costs are really high for our small company at the moment, so in order to help out as much as we can we have created some unique Peel-&-Stick baseplates. Below is the ‘How To Make a brick building Table’ video, please be kind, its my first time making a video, as you’ll notice. The resources I used in the video are below if you wanted to make your own. Are they easy to cut? Will the adhesive last long? The adhesive we use is construction grade, so you can be sure that they will last. Ours is still going strong and we have used them on walls too. Will the baseplates work with !? Yes they will indeed, but they are made primarily for brick building. GOOD NEWS – we also sell Peel & Stick blocks compatible boards, so making a blocks table is super easy too! Planning a new carpet? 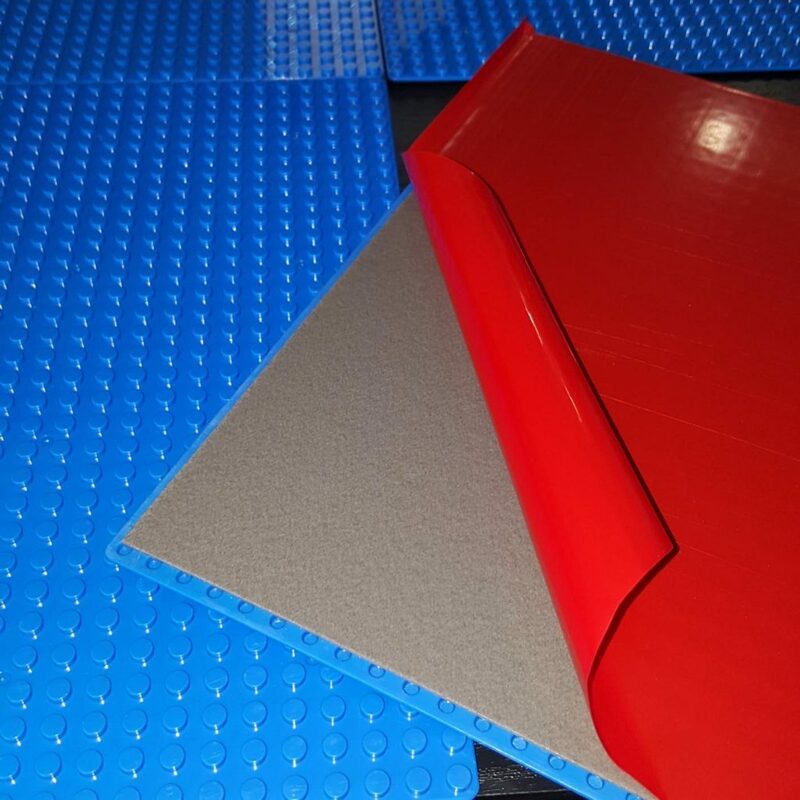 Leave a corner empty and use our baseplates as the flooring, what kids wouldn’t want brick building flooring! Use the baseplates on the wall for an AWESOME bedroom – they are construction grade so they won’t fall off!